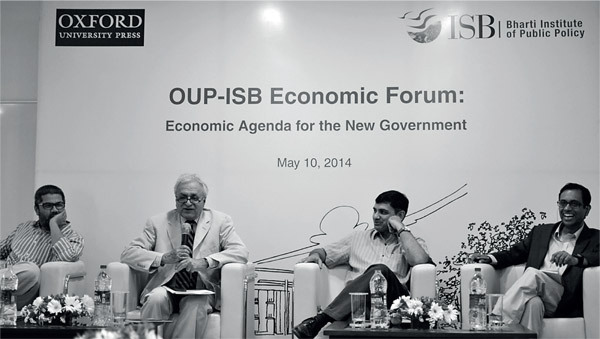 Leading academics and socio-economic analysts took part in a panel discussion on the new government’s economic agenda jointly hosted by the Bharti Institute of Public Policy at the Indian School of Business in association with the Oxford University Press. Following the National Democratic Alliance victory in the recently concluded general elections, the new government will face renewed expectations with regard to reforms and governance. The incoming Narendra Modi led Government’s first litmus test in the immediate term would be the Union Budget 2014, due to be presented within the next couple of months. 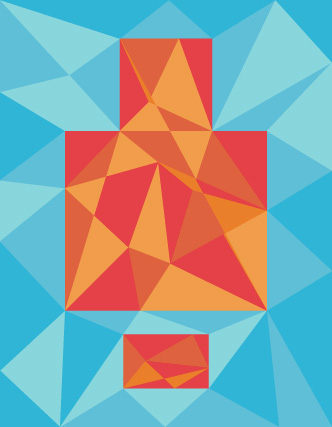 While the BJP’s election manifesto called for boosting economic growth and promises revival of the Indian economy, the exact contours of the new government’s economic agenda are yet to be articulated. 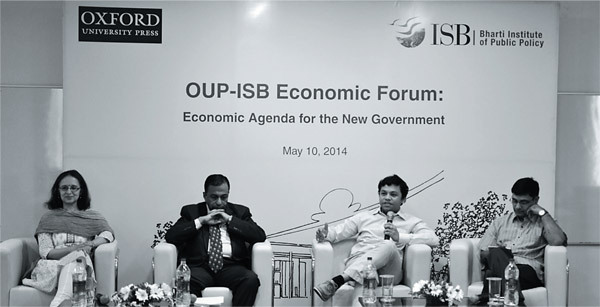 In this context, the Bharti Institute of Public Policy at the Indian School of Business in association with the Oxford University Press organised a panel discussion on the ‘Economic Agenda of the Next Government of India’ on May 10, 2014 at the School’s Mohali campus. The discussion opened on the theme of “The Immediate Fixes and Long-Term Needs of the Indian Economy”. The panel comprised of Dr Ashima Goyal, Professor of Economics, Indira Gandhi Institute of Development Research (IGIDR), Dr Rajesh Chaddha, Senior Fellow, National Council of Applied Economic Research (NCAER), and Professor Sisir Debnath, Assistant Professor, Economics and Public Policy, ISB and was moderated by Subhomoy Bhattacharjee, Deputy Editor, Economic Bureau, Express Group. In providing an in-depth analysis of what the government needs to fix in the long and short term, Dr Goyal commented that the government needed to better the reach of subsidies to sections which needed it most. Emphasising the need to hold the government accountable, she suggested that well-defined metrics to measure outcomes of government policies had to be developed. In addition, she also spoke about the need for reforms in the coal sector as well as administrative reforms. She further emphasised the need for States to have better co-ordination among them and the need for a number of instruments to increase financial savings that would counter inflationary pressures. Professor Debnath discussed the need to enhance competitiveness in the export sector. He also highlighted the urgent need for rationalising labour policies which constrain the industrial sector. According to Dr Chaddha, the incoming government needed to focus on confidence building measures in governance in the first few months. He suggested that it was important to bring about a blue collar revolution in the manufacturing sector as well as allow foreign direct investment (FDI) in the retail sector. The second panel for the day, focused on the issue of “Is an Economic Regime Change Necessary and Possible?” Panel participants included Professor Deepak Lal, James S. Coleman Professor Emeritus, University of California at Los Angeles, Dr Amir Ullah Khan, President, Glocal University and Senior Policy Advisor, Bill and Melinda Gates Foundation and Subhomoy Bhattacharjee, while Professor Rajesh Chakrabarti, Clinical Associate Professor of Public Policy and Executive Director, Bharti Institute of Public Policy moderated the session. Kaushiki Sanyal, Senior Analyst, Bharti Institute of Public Policy, ISB and Sayan Das, Research Intern, Bharti Institute of Public Policy, ISB jointly contributed to this report for ISBInsight.